Erin's cake - I DO! 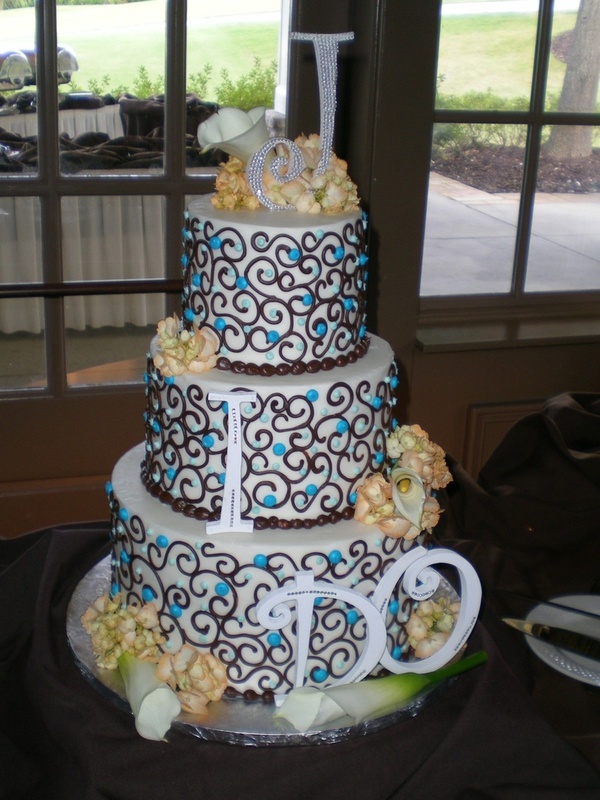 This is my wife and I's wedding cake, you would happen know what the flavor it was do you? The wedding party was Erin and Andy Jackson, date sept 17, 2011. We are having a baby shower on May 11th and I would you to make the cake. Erin, I'm so glad you liked your cake! I think it turned out fantastic! I just loved working with you guys!!! Definately call me in the future!!! Much love to you both! Loved it!! It was so beautiful and SO delicious. My personal laugh is that I made that cake topper for about $4.50 and everyone said it looked great. Can't wait for you to make future event cakes for us, Natalie!